Use our resources to understand how astrobiologists are looking for life on Enceladus and elsewhere. This diagram illustrates the possible interior of Saturn’s moon Enceladus based on a gravity investigation by NASA’s Cassini spacecraft and NASA’s Deep Space Network. This cutaway view shows the moon’s rocky core, icy exterior and liquid water ocean. These are the amazing photographs (this single image is actually a mosaic of two shots) that inspired scientists to investigate Enceladus. The jets streaming into space are eruptions of salty water. The jets, eruptions of what scientists call “cryovolcanoes,” would have a temperature of -3 C to -116 C (27 F to -177 F, or 270 to 157 Kelvin). 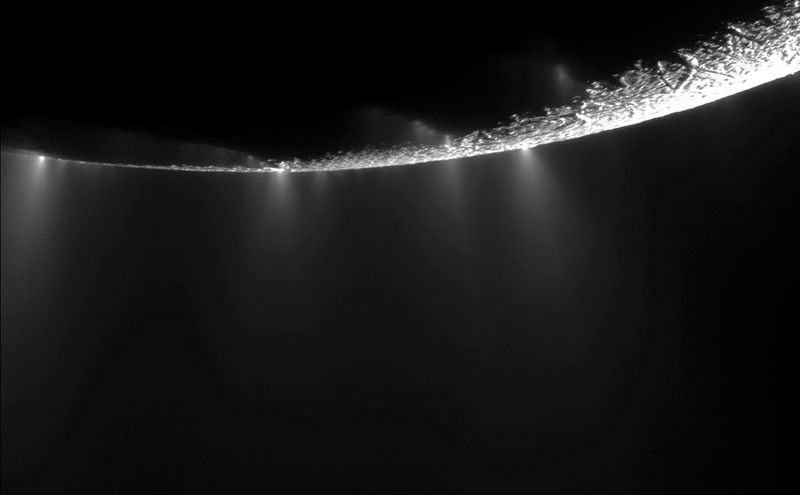 The analysis of Enceladus’ icy surface and churning interior was done with the amazing Cassini spacecraft. Read through our activity “Space Probes,” which focuses on Cassini’s early mission. Adapt its questions to the recent discovery. Which of Cassini’s instruments was used to analyze the moon’s gravitational changes? According to the Nat Geo News article, Cassini’s Visible and Infrared Mapping Spectrometer (VIMS) was the instrument that initially detected organic material on Enceladus. How was Cassini itself—the entire spacecraft—used as an instrument in the analysis? The heavy lifting of the analysis was done by the brainiacs at NASA’s Deep Space Network (DSN), conveniently located right here on Earth. (Love that website! Love!) The DSN, humbly nicknamed the “center of the Universe,” carefully tracked the movement of Cassini as it orbited Enceladus. DSN was able to calculate the moon’s tiny tidal tugs based on the orbiter’s path. Amazing stuff. What Earthly ecosystems are astrobiologists studying to better understand how life may exist on Enceladus? Take a look at the illustration below, then read through our article “Looking for Life,” about the work of astrobiologist Kevin Hand, for some help. This illustration depicts two possible cut-away views through the icy shell of Jupiter’s moon Europa. 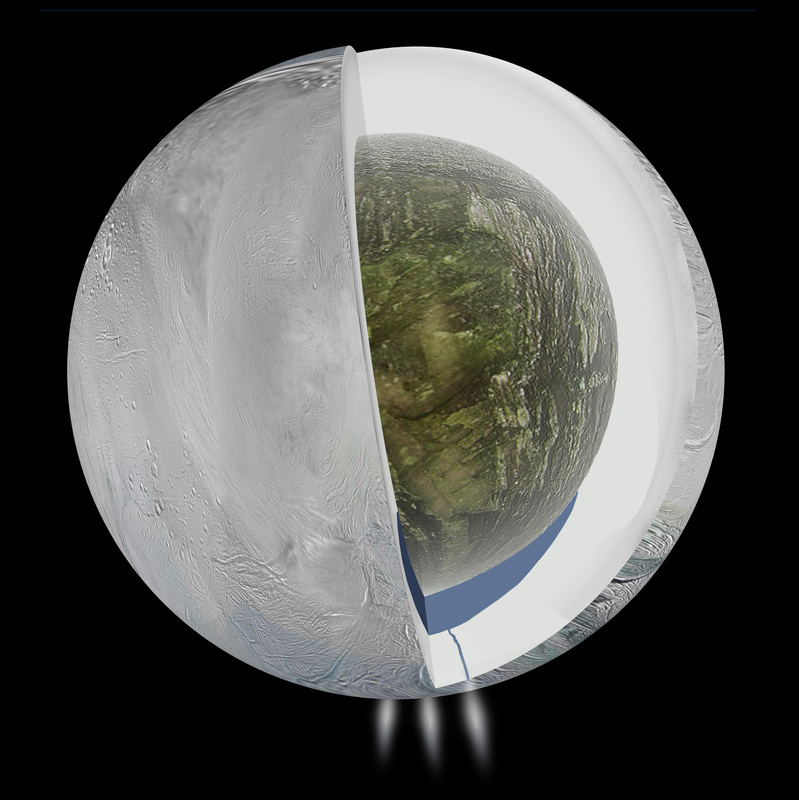 (Europa, like Enceladus, also conceals a liquid ocean.) In both views, heat escapes, possibly volcanically, from Europa’s rocky mantle and is carried upward by buoyant oceanic currents. Scientists are studying our own ocean, of course! Read through our activity “Exploring Extremes” for a great comparison of deep-down and far-out exploration. In particular, scientists are studying the weird and wonderful world of deep-sea hydrothermal vents. 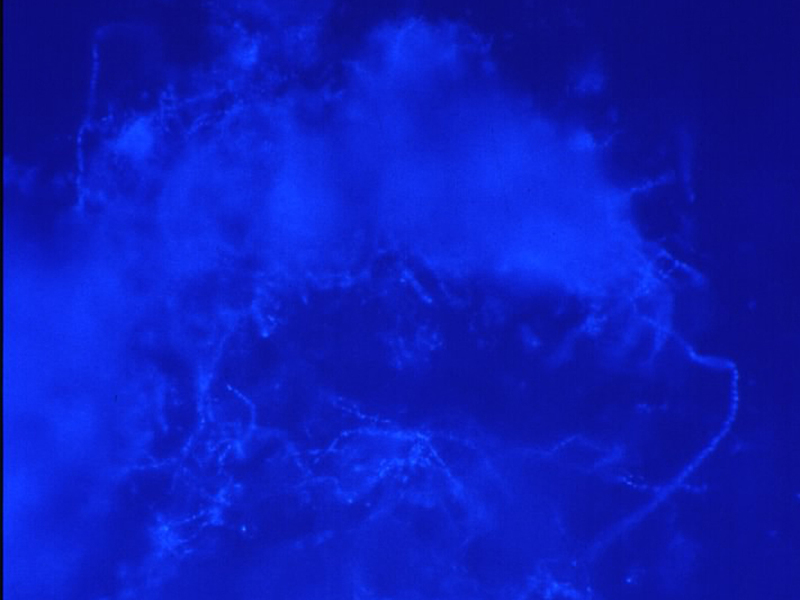 More than a kilometer beneath the surface of the ocean, where light does not reach, bacteria these vent communities cannot use photosynthesis to create energy. These bacteria use a process called chemosynthesis, which uses materials found in vent fluid. Light—and photosynthesis—would not be available to life on Enceladus, so chemosynthetic bacteria might be what real-life aliens look like. If life exists outside our planet, there’s a good chance it looks like this.